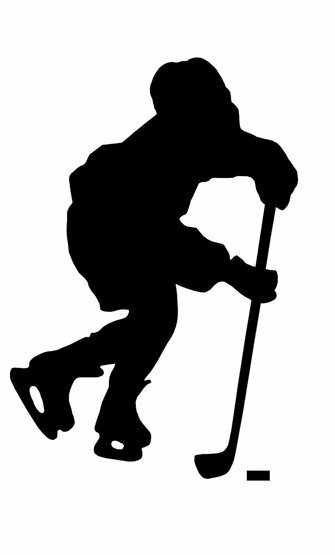 Nassau County Executive Edward P. Mangano today announced the shape-up schedule for any hockey player who wants to get in shape for the upcoming tryouts for the 2014-2015 Nassau County Hockey Season. Tuesday, March 11th: 6:30 p.m. – 7:45 p.m.
Thursday, March 13th: 6:30 p.m. – 7:45 p.m.
Saturday, March 15th: 7:30 a.m. – 8:45 a.m.
Wednesday, March 12th: 6:30 p.m. – 7:45 p.m.
Friday, March 14th: 7:30 p.m. – 8:45 p.m.
Saturday, March 15th: 9:00 a.m. – 10:15 a.m.
Monday, March 10th: 8:00 p.m. – 9:15 p.m.
Wednesday, March 12th: 8:00 p.m. – 9:15 p.m.
Saturday, March 15th: 3:15 p.m. – 4:30 p.m.
Monday, April 7th: 8:00 p.m. – 9:15 p.m.
Wednesday, April 9th: 6:30 p.m. – 7:45 p.m.
Saturday, April 12th: 3:15 p.m. – 4:30 p.m.
Tuesday, April 8th: 7:15 p.m. – 8:30 p.m.
Wednesday, April 9th: 8:00 p.m. – 9:15 p.m.
Saturday, April 12th: 4:45 p.m. – 6:00 p.m.
All Shape-Up’s are held at Cantiague Park located on West John Street in Hicksville. The Nassau County Hockey Program is open to Nassau County Residents only. All players/parents must have a valid Leisure Passport. The fee for each session is $25.00. All fees are payable at the door. Cantiague Park, located at 480 West John Street in Hicksville, has been part of the Nassau County Park system since 1961. Cantiague Park was the first County Park offering a swimming pool and an artificial skating rink. Additionally, this 127-acre park offers a renovated 18-hole miniature golf course, 9-hole, par-30 golf course, driving range, five lighted tennis courts, six lighted handball/paddleball courts, three lighted basketball courts, four lighted softball fields and four multi-sport fields, two of which are lighted. In the summer of 2008, the park opened a new and beautiful artificial turf field to accommodate football, soccer and lacrosse and is also lighted for night play. Cantiague Park also includes a playground, two reserved picnic areas, shuffleboard courts, a bocci court, and tables with inlaid chess and checker boards. Subject: LongIsland.com - Your Name sent you Article details of "Mangano Announces Shape-Up Schedule For The 2014-2015 Nassau County Hockey Season"